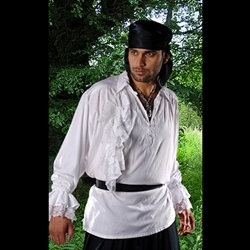 Our Roberto Cofresi Pirate Shirt is made from thick and rich Viscose fabric. Lacy frills on the chest and cuffs give it the Renaissance look. Removable front frill.